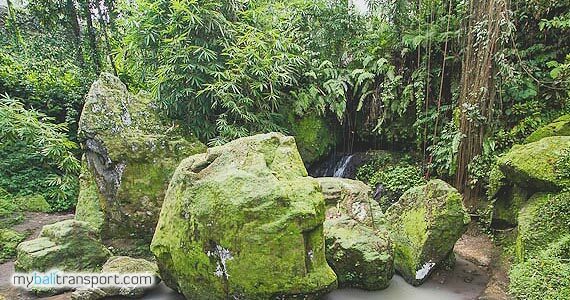 Besides there are historical artifacts, Goa Gajah (Elephant Cave) Bali also has beautiful scenery surrounded by rice fields and small rivers. 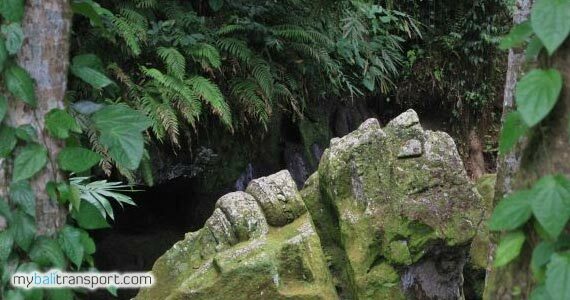 Goa Gajah is built on the edge of the river Petanu. 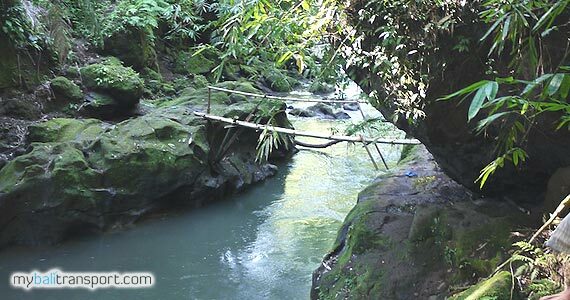 Because the confluence of two rivers, called Campuhan deemed to have magical value, then the hermitage has built. 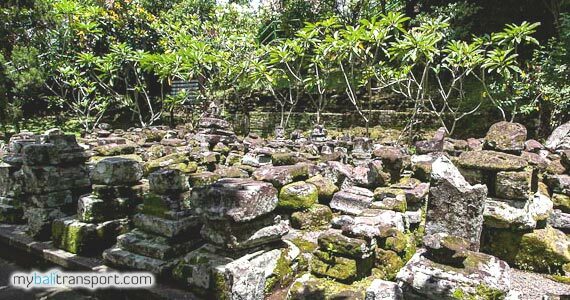 As Buddhist hermitage and activities are in south are across the river, while the north of the river is a hermitage and religious activities for Shiva. 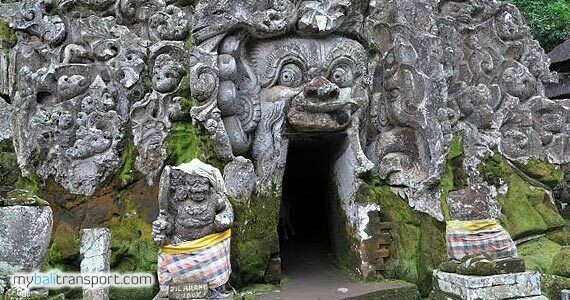 The origins story of Goa Gajah can not be known with certainty. 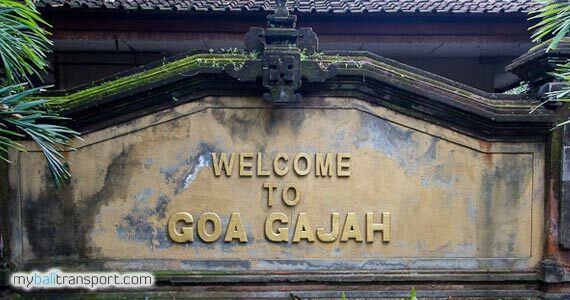 According to the book of ancient Javanese, Negarakertagama written by Mpu Prapanca in 1365 AD, the name of Goa Gajah derived from Gajah Lwa'. 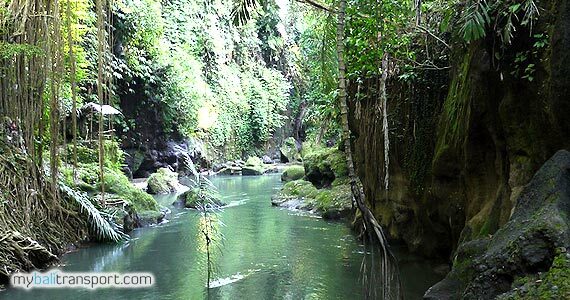 Lwa derived from Lwah or Loh which means water or river and Gajah (the Elephant) is the name of the river that is now called the river Petanu. 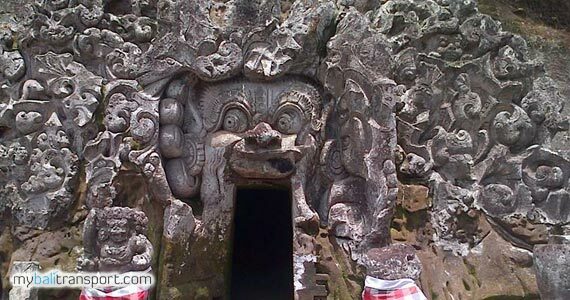 Others say the name comes from Goa Gajah Ganesha statues inside the cave on the northwest corner where the statue of Ganesha like an elephant. 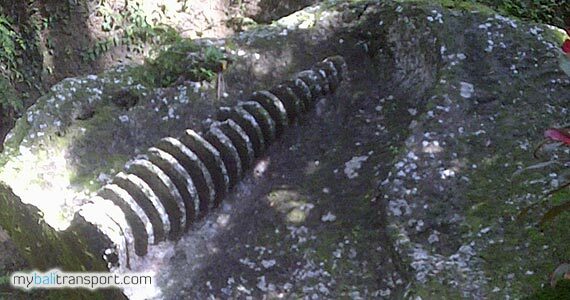 In the year 975 Dawan inscription and Pandak Bandung inscriptions said hermitage 'Antakunjarapada'. 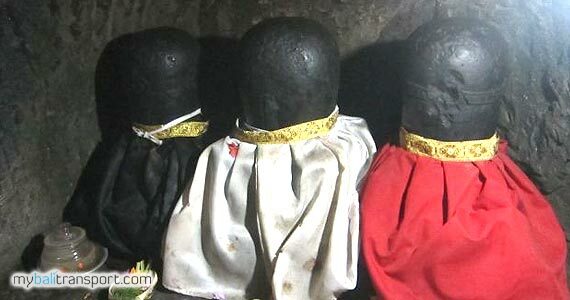 When viewed from the meaning of the word 'Kunjara' which means elephant, and 'anta' which means the end or limit, while the 'pada' means the place or region. 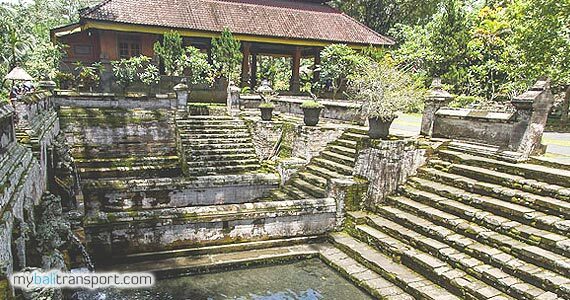 Thus Antakunjarapada means hermitage located in the border region of Gajah River, which is now called Goa Gajah. 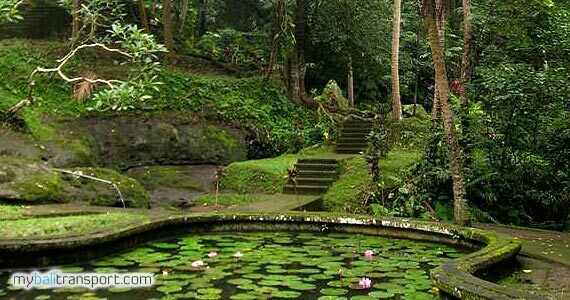 Hermitage Goa Gajah which in Sanskrit is called Antakunjarapada can be connected to the Hermitage Kunjarakunja which is located in southern India on the slopes of Mount Kunjara, as Rsi Agastya residence now called Agastya-malai. 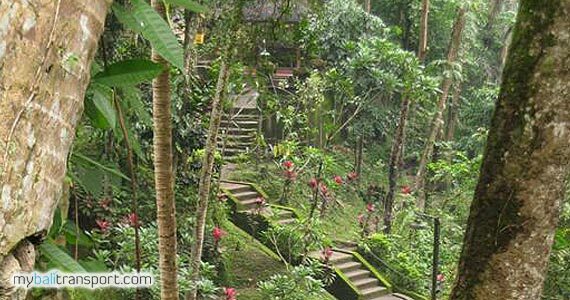 Environment around Kunjarakunja hermitage in the mountains on the banks of the river flow is estimated to be Tamraparni the concept of naming the Hermitage Goa Gajah. 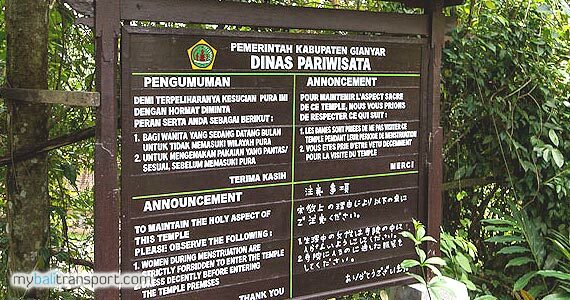 On the outside of the cave there is a pool with showers of holy water for ceremonial purposes. 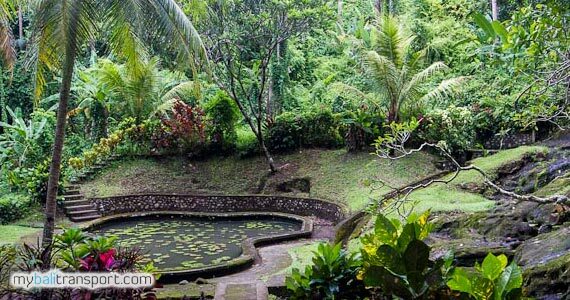 Pool which was originally buried, recently discovered in 1954 by the Department of Antiquities name Krijgsman. 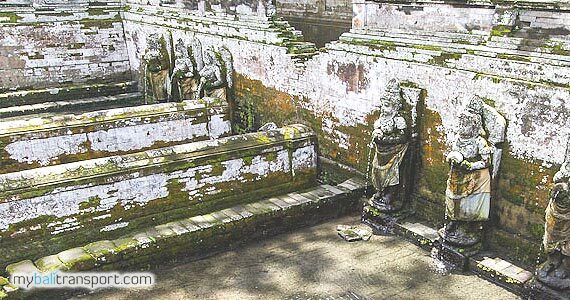 Seven shower takes the concept of 'Sapta Tirta' ie 7 holy water which has a value equal to the sanctity of 'Sapta Nadi' meaning from 7 purified rivers in India include the Ganges, the Indus, the river Saraswati, the river Yamuna, Godavari river , Serayu rivers, and Darmada river. 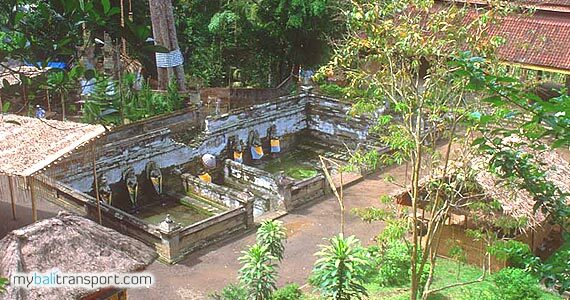 At this time, ancient heritage of Goa Gajah into a temple of Pura Goa Gajah that protected by the local community. 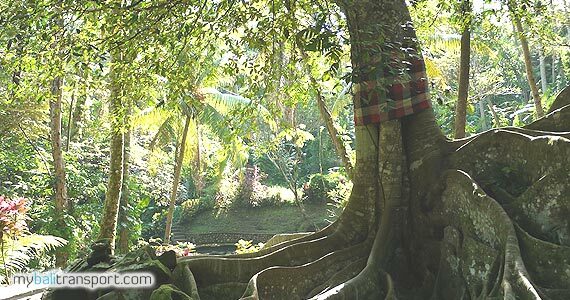 For further explanation of the information about Goa Gajah Ubud, pura Elephant Cave, Goa Gajah Trip, Goa Gajah Ticket Fees and Transport. 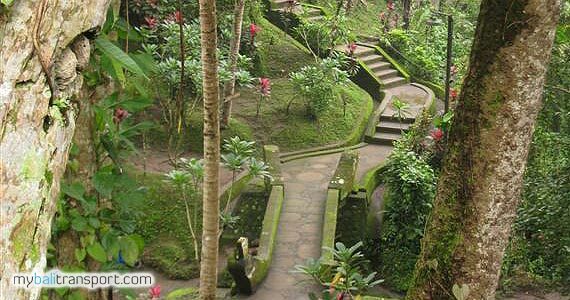 Get a Bali Transport from your stay (Bali Resort or Bali Hotel). 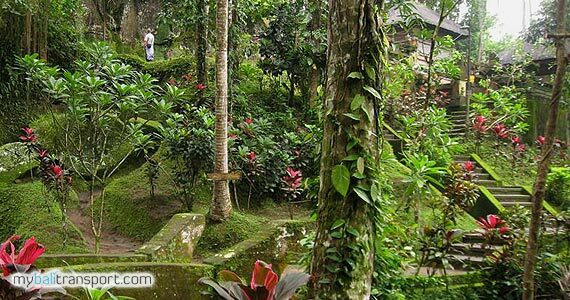 You can contact us if you need transport to go to Ubud Goa Gajah and other related Bali tourist destination.